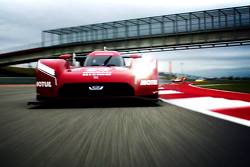 Nissan's Super Bowl commercial just glimpse their ridiculous World Endurance Championship P1 car. A front engined twin turbo v6. 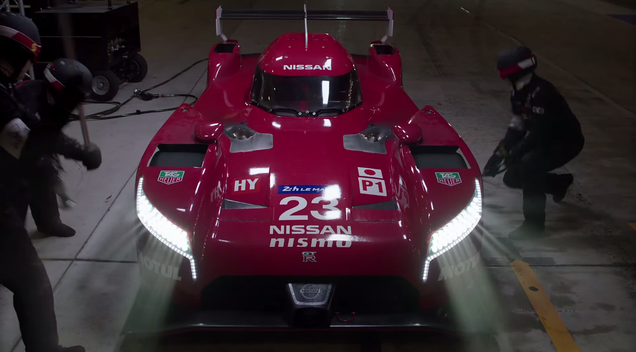 Ben Bowlby gives insight into the DNA of Nissan's GT-R LM NISMO. 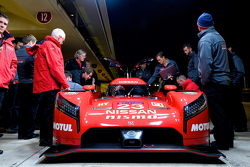 The man best placed to describe Nissan’s innovative LM P1 car is Ben Bowlby, Nissan’s LM P1 Team Principal and Technical Director. 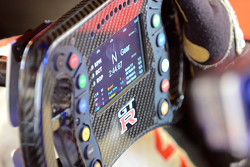 Can you explain the how the different power sources work on the GT-R? 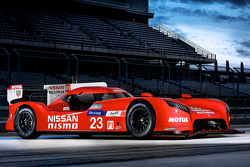 “We have a very modern but conventional V6 3-litre twin turbo petrol engine. 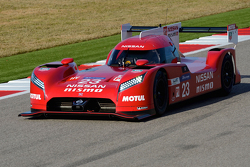 This is a very efficient engine so it produces a large amount of power using the allotted fuel flow limit. 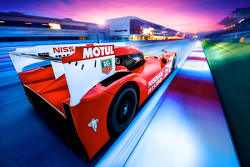 The fuel flow limit is one of the new regulations at Le Mans – we’re not limited by the engine capacity or the boost pressure or the RPM of the engine – we’re limited by how many grammes of fuel per second we can burn. So the more efficient you make the engine the more power you have because you are still burning the same amount of fuel whether you are efficient or inefficient so if you can make a very efficient engine you get a lot of power. 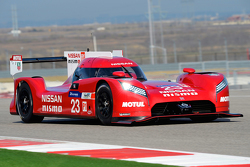 We are burning a smaller amount of fuel, around 30% less than was used by a petrol engine at Le Mans in 2013, for example. 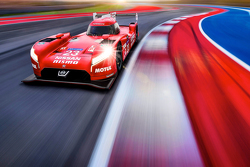 “So we have a petrol engine efficiently producing a certain amount of power and then in addition to that we are using a kinetic energy recovery system (ERS). The car is a mass, travelling at velocity and as we slow it down for the upcoming corner we harvest that kinetic energy. 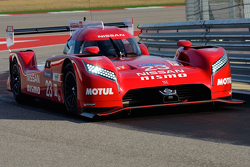 Is the GT-R a front-wheel-drive car? 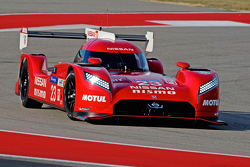 If the GT-R has all this power, will it be faster than the other manufacturer’s LM P1 cars? 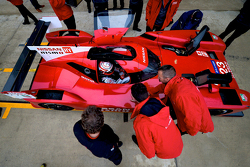 “The LM P1 regulations for manufacturers have four hybrid powertrain options, defined by how much hybrid energy is released from the ERS per lap of Le Mans (the Le Mans track is used as the baseline circuit). You can go in the 2 megajoule class where you can deploy up to 2MJ of energy during one lap of Le Mans and also use quite a lot of fuel. You can go in the 4MJ class and get a little less fuel, the 6MJ class with less still and then there’s the 8MJ class where you get the least fuel of all but the most recovered energy for deployment and there’s no limit on how powerful the system is, just how much energy is used so you can either have an awful lot of power for a very short time or a small amount of power for a very long time. “The fuel energy you have, which again can be measured in megajoules, gets cut in proportion to the amount of megajoules you get from your ERS. 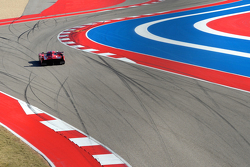 The way it is worked out by the governing body – the FIA and the ACO – is that if you choose to recover more energy and deploy that you actually end up with more total energy, even though your fuel energy has been cut slightly. The more megajoules you have the faster you go. Each megajoule is worth an amount of time per lap so if you are an 8MJ car compared to a 2MJ car you should be faster over the course of a lap. 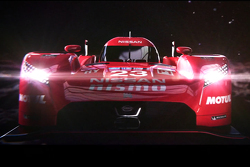 “There are however some very big challenges, one of which is that you have to get the car down to the minimum weight because every 10-12 kilos is about half a second a lap around Le Mans so if you have more weight in the car that slows you down pretty significantly. The challenge is to package a big, powerful energy recovery system without going over the weight limit and that is very hard to do. We’re going to be really challenged to make our weight target of 880 kilos for 2015 when half of the weight of the car is the powertrain: engine, ERS and the driveline - so that’s a very big challenge." What about the tyres? The rears look narrower than the front tyres! 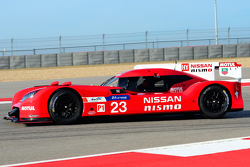 Why doesn’t the Nissan GT-R LM NISMO look like the other manufacturer’s LM P1 cars? Jan 30 Super Bowl Car Commercials, Today!